Check out the letters,,,our presidents have written~COOL~!! No there isn't one to Monica..Ha-Ha~These are postal letters!! Still very interesting place!!! Don't leave home with out it!! They have everything in this site!!! Thank you!! Janine, for sending this great site!! It is a lyric..That is heard.And misunderstood!! Neat site...have fun!!!! Thanks Janine!!! Very large list of links..for medical information and help! !Thank you David!!! Check out things to do,,Restaurants,,All kinds of STUFF!! FaxFinder~Things that fall from the sky!! Weird stuff!!! Thanks BoB for this site!! What can you do on the world wide?? Very awesome site..It just has everything!! Thanks Dori!!! Boy Bear's Tv Age Gauge!! This site is great...You'll love it!! See who you are younger or older than.Thank Janine...Still having fun!! Music,Movies & humor..A little of everything..Almost like a magazine!! The gentle giant!! 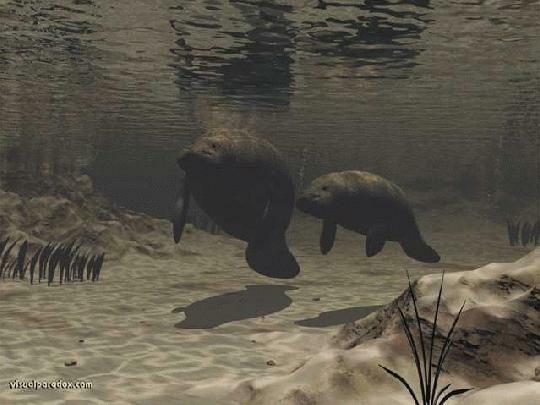 Sea Cow! !I lived in Florida for over 30 years!! I always tried to do my part!! It is so terrible what people do to these magnificent creatures with thier boats..JUST STUPID!! Please be aware!!! Thank you Dori!!! For this helpful site!! This quide is really a good one!! Keeps up to date on all events!! Come visit us!! This is my home town..I will add more.This is the Chambers welcome site..There is a lot more to see..Strawberry Festival.Scopes~monkey~trial..
Lots of fun & useful links!! This page has links to just about everything!!! Very beautiful pictures..Fantastic site!! Thanks Dori!! Lots of great links to all kinds of weather sites!! Very interesting!! Don't miss anything!! Located in Chattanooga Tn..Very nice comedy club..I have had a lot of laughs there! !